The Scottish Institute for Enterprise (SIE) helps students in Scotland discover their entrepreneurial talent and start up their own ventures. Their mission is to help create new student businesses and social enterprises and to increase the number of students who consider entrepreneurship a real option during and after their studies through a number of activities and events. The national Fresh Ideas Competition is for those who might have an idea but haven't taken steps toward making it a reality. The summer Bootcamp programme is another entry-point for students who know they want to start their own venture but haven't taken the first steps. The New Ventures Competition is for already established ventures, with the opportunity to win funding and business support. 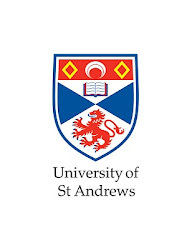 The Scottish Entrepreneurial Academy (SEA) offers a unique opportunity to develop entrepreneurial mind-set and build global sustainable businesses. David Townsend for the Young Innovators Challenge for the Renewables category in 2013, who has started a geothermal energy company, Town Rock Energy Ltd.